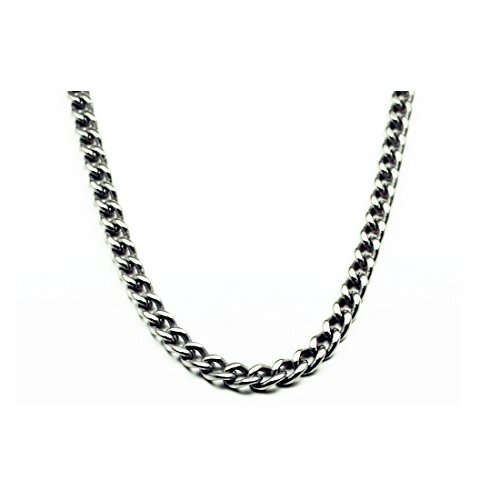 This is for a stunning classic titanium curb link chain necklace. It features highly polished curb chain link design and fold over clasp with secure latch and provids a very cleaning contemporary look and tangle free wearing. This truly unique necklace precisely engineered from premium CP2 grade TITANIUM with TITANIUM stamped. One of newest styles to our titanium necklace collection. It measures 5.5MM in width and 20" in length(Also available in 18",22", 24" and 26"). Perfect Gift for Christmas, Valentine's Day, Birthday, Father's Day, Graduation Gift or just about any occasion.